Matthew Sklar (b. Westfield, NJ, October 7, 1973) has been working on Broadway since he was eighteen, as a rehearsal pianist (On the Town 1998, Annie Get Your Gun 1999, Oklahoma! 2002, Nine 2003), an assistant or associate conductor (Miss Saigon 1991, Les Misérables 1994, Titanic 1997, Putting It Together 1999, 42nd Street 2001, Caroline, or Change 2004), composer (The Wedding Singer 2006), and arranger (Shrek The Musical 2008). He has been writing original musicals with lyricist and bookwriter Chad Beguelin for over fifteen years; their show The Wedding Singer earned five Tony® nominations and eight Drama Desk nominations, including those for Best Original Score. Sklar attributes his early success in composition to his eighth-grade music teacher at Edison (New Jersey) Intermediate School, who prompted him to write a song for his middle-school graduation. To round out the event, Matthew sent his song to Walt Disney Productions, where it was recorded for the Mickey Mouse Club. He went on to Westfield High School, participating in music and drama programs and spending his weekends in New York at the Juilliard School Pre-College Division as a composition major. He graduated from both schools in 1991, with honors from Juilliard, and conducted his own senior project, Symphonics for full orchestra, at Lincoln Center with the Juilliard Pre-College Orchestra. His summers were spent apprenticing at the Westfield Summer Workshop. 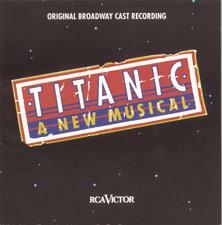 From 1991 to 1995 Sklar split his time between working on Broadway and studying at New York University. 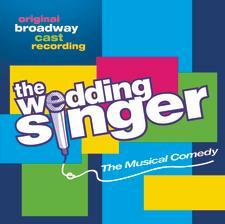 The Wedding Singer was the Broadway debut of Beguelin and Sklar, but other shows, The Rhythm Club and Wicked City, have been produced in other venues. Sklar has also contributed music to various Disney projects and to the Nickelodeon television series Wonder Pets. He co-produced the original Broadway cast album of The Wedding Singer, which enjoys brisk sales as productions of the musical are mounted in the UK, Spain, Sweden, and Japan, and on national tour. Aside from his Tony® and Drama Desk nominations, Matthew Sklar has been honored with the Gilman Gonzalez-Falla Musical Theater Award and the Jonathon Larson Performing Arts Foundation Award.